The very first step should be to determine what strategic need the website is filling. This requires that goals and objectives are set. One of the biggest challenges is limiting those goals – many companies have way too many goals for their website, which leads to a loss of focus. We will help to establish two or three specific goals for a company that are measurable. Once those goals are set, we can focus on a website design that will help provide the most impact in realizing those goals. We will then establish who the company’s target audience is. Most companies will need to target a number of organizations, including customers, partners, shareholders and more. Creating an audience profile, which includes demographics, online goals, needs and more, is key to figuring out how to get the right audience to engage with the company’s website. An additional step that we will take is to keep an eye on the competition, which allows us to see what is working and what isn’t for them, thereby eliminating our clients’ need to go through trial and error on their own websites. Defining a project’s scope is more important than most think. A well-defined scope will outline activities and deliverables, while also setting specific timelines. This allows companies to have clear expectations about their website’s performance. The use of a Gantt chart is an excellent way to do this. A Gantt chart will display the timeframe of every step as well as any dependencies between those steps, thereby providing accountability between our web design team and our client. The architecture of the website includes the wireframes of the pages and the sitemap – this process is basically the creation of the website’s blueprint. By creating a sitemap, we will ensure that the client will be able to see the relationship between all the key pages on the site as well as define how the navigation of the website needs to be structured. The wireframes are basically the preview of how content will look on each individual page. The client’s brand has a huge impact on what the website is going to look like because it is important to convey the ideas of the brand within the design. Once the architecture and visual design have been created, we will begin to flesh out each page’s design by developing and refining media that will appear on the site, such as videos, written content, podcasts, slideshows and more. Additionally, we will begin building the website’s HTML and CSS. Testing the website is a vital part of the creation process. The last thing a company wants is to go live with a website that has faulty parts, whether it’s misspelled content, broken links or pages that simply won’t load. The way we test a website is by putting it on a production server where only we and the client can see it – unless the client decides to share a link to the preview with others. Part of the testing process includes making sure the website works on all browsers, from Google Chrome to Firefox, as well as on all devices, from desktops to mobile phones. After the website has been tested and cleared of any issues, it will be ready to launch. Once the website is launched, clients should be prepared to address any feedback that users of the website provide. There’s a good chance clients will want to make immediate changes as a result of the feedback, such as editing content or making small adjustments. Remember, change is inevitable – especially on the Internet. Websites need constant maintenance, whether it’s updating content or fixing links that are broken. This type of maintenance needs to happen on a daily basis – clients can’t assume that just because nothing was wrong with the website before that it will never need maintenance. And having the website checked once a month isn’t going to do it either – without constant maintenance, certain problems could creep up on the website that aren’t noticed until it’s way too late. A website that has constant issues that aren’t immediately resolved reflects badly on the brand. These are the steps that we take in order to design a website for our clients. Because the website acts as the foundation of any successful online marketing campaign, it’s of incredible importance that it is properly designed. 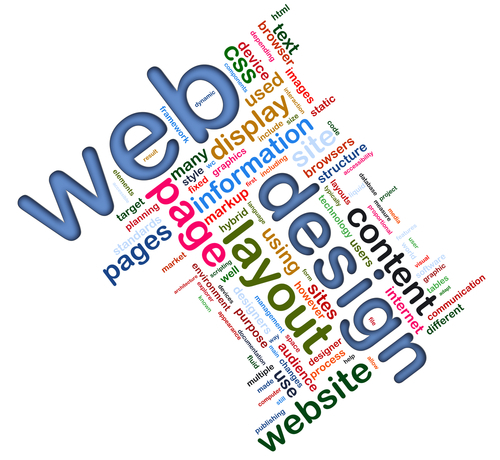 For more information about our web design process and services, be sure to contact us at Brite Wave Digital today.